This door is straight but has one rust-through area on the inside and outside of the trailing edge as shown. Aside from this there are no other rust issues. Price reflects the rust damage. The stainless window frame trim is in good condition with no dents. This door came from a VC so has trim holes to suit the VC chrome strip; however it is otherwise the same as the AP5 and AP6 door. 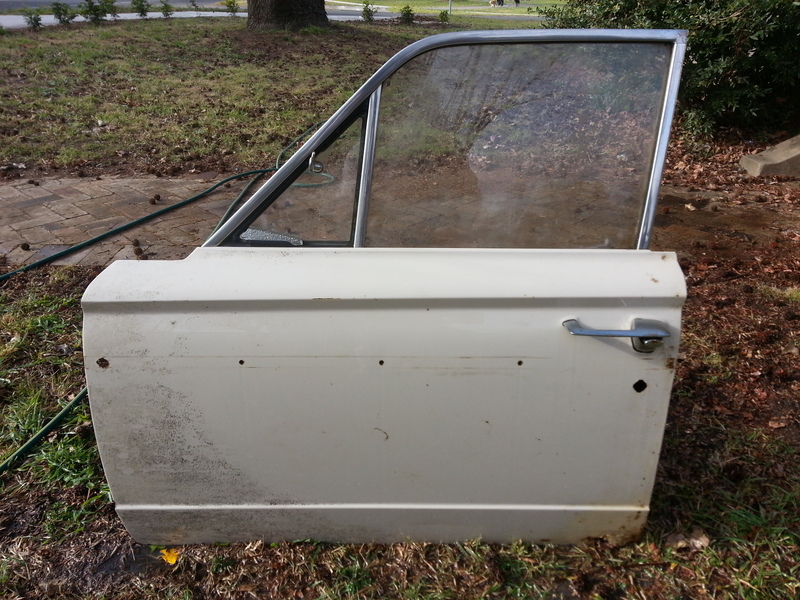 Note that you are buying the bare door shell and stainless frame trim only. Anything unboltable is not included, even if it is pictured. This is because you are probably replacing your existing rusted-out door which has all of these items already. Other door components are available and may be found on this site. Note: too big to post but could be couriered or picked up from Camden, NSW.